Police Vehicles And Uniforms By Country #Infographic ~ Visualistan '+g+"
Law and order is an important aspect of a civilized modern society. It’s not always possible to maintain a population of 100% law abiding and peaceful citizens but it’s a goal that all civilization must aim to achieve. To achieve this goal, a society must look to law enforcement and police officers. Police show their authority by being easily identifiable to the average citizen. This is done through the use of uniforms, badges, and, sometimes most importantly, the insignias and markings on their police cars. Police cruisers and police uniforms differ all around the world but they all have one thing in common: to protect and serve. 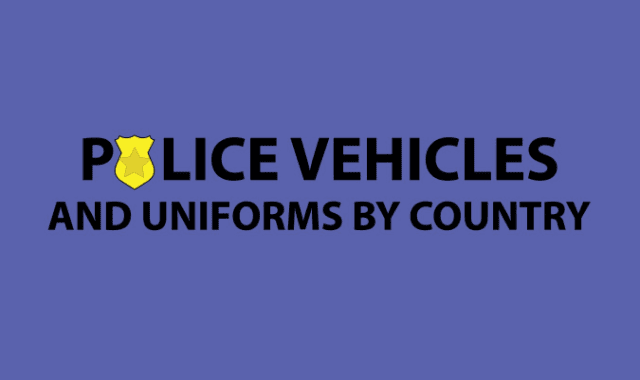 This infographic showcases police vehicles and uniforms from 27 countries around the world and what jurisdiction or specific police force they belong to. Which police car is your favorite?